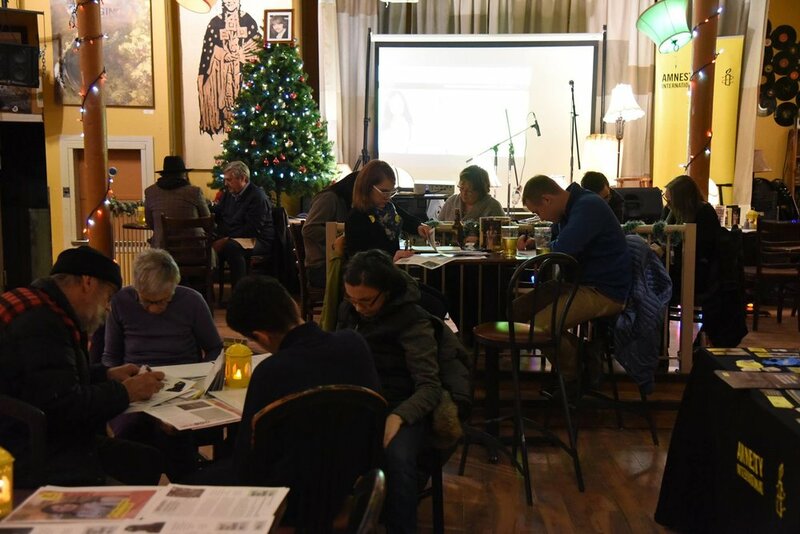 Write for Rights 2018 a Success! Wow! 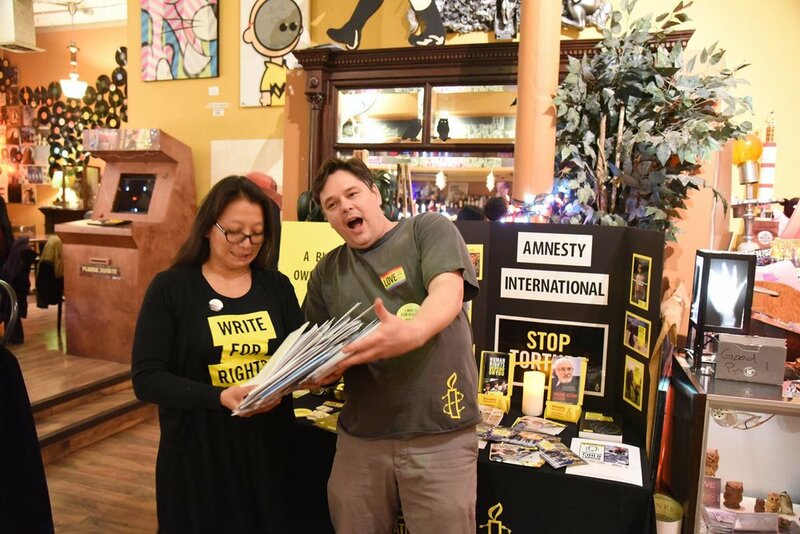 Amnesty Lethbridge's 10th Annual #Write4Rights was a complete success! 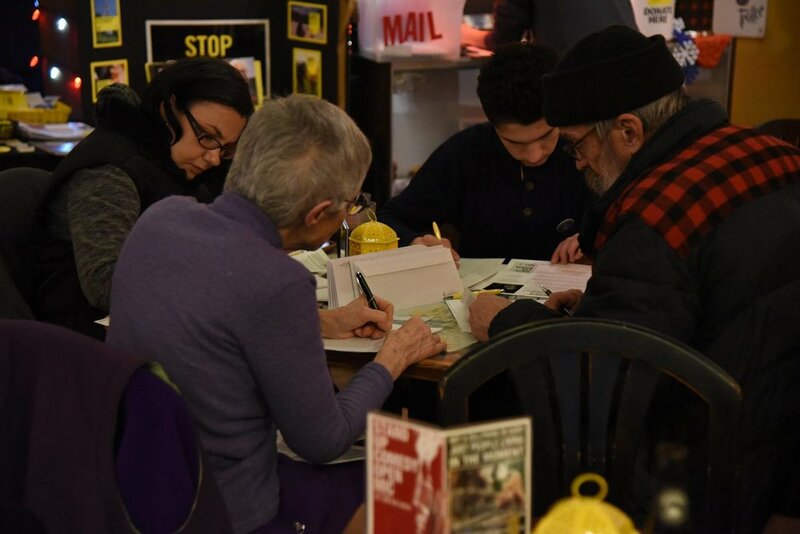 We are happy to report that over 200 letters were written by 70+ attendees in the month of December as part of the campaign. 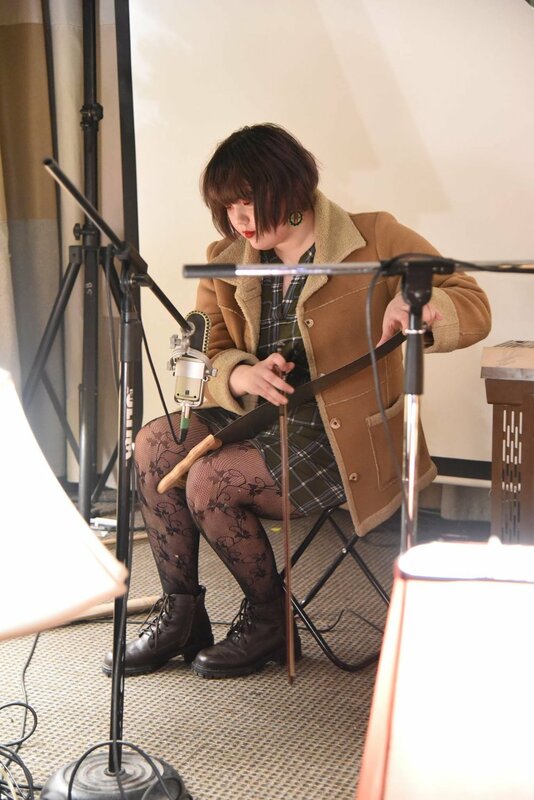 We were also able to raise $539 in support of our mission. And most importantly, those in attendance who wrote letters, tweeted, signed petitions, and completed colouring sheets! 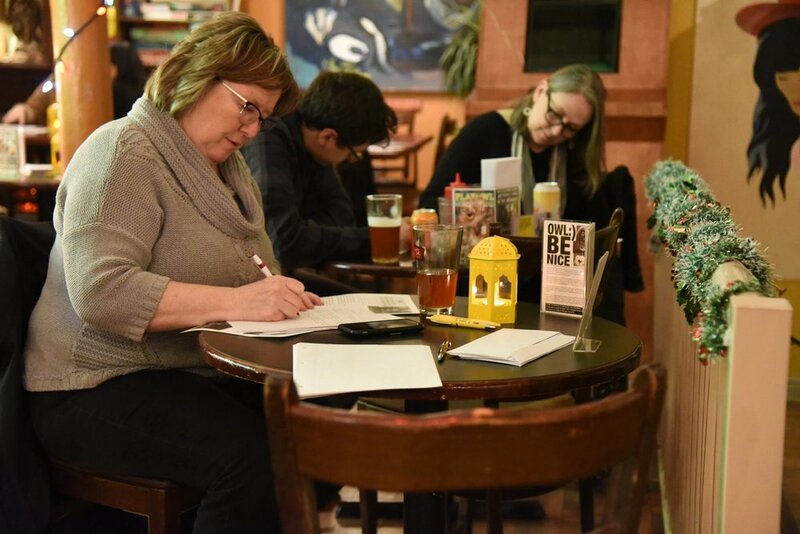 Keep in mind you can continue to write letters - find the campaigns at Amnesty.ca OR meet us at the next Letter Writing Circle on the first Tuesday of the month at Owl Acoustic Lounge. DID YOU KNOW? 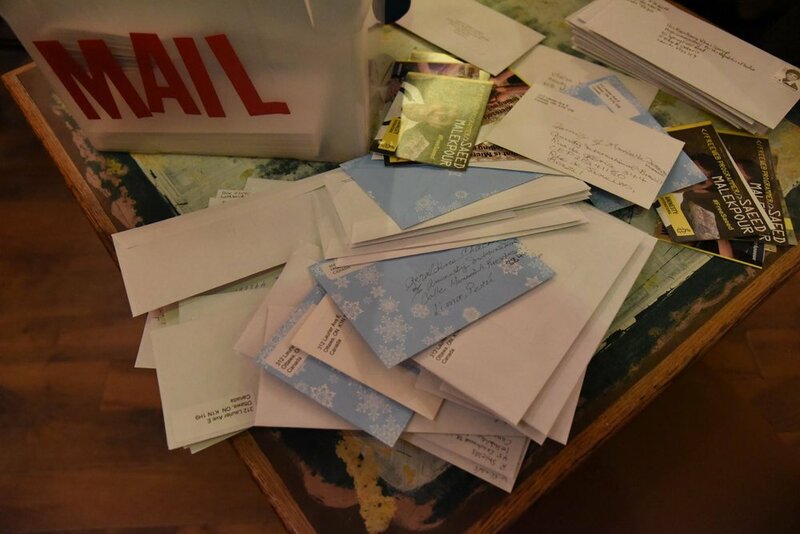 The cost to send over 200 letters is a huge expense for our Action Circle - (~150 international letters @ $.2.50 each = $375) + (~20 USA letters @ $1.20 = $24.00) + (~50 @ $0.85 = $42.50) = $442+ in stamps + the cost of envelopes, et cetera. Please consider making a donation to help fund our important work as we write hundreds of letters each year.